Epoxy for Concrete Floors, Concrete Sealers From SurfKoat Just Got Easier! Awesome epoxy concrete floors just got even "Awesomer"! 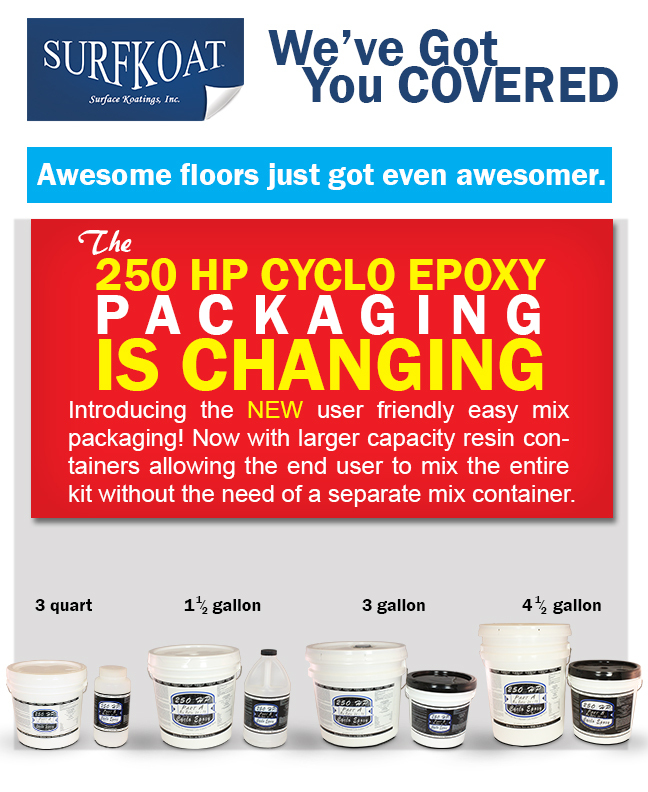 The 250 HP Cyclo Epoxy Packaging is changing. Introducing the all NEW user friendly easy to mix packaging. Now with larger capacity resin containers allowing the end user to mix the entire kit without the need of a separate mix container.